Let me introduce you to Lager, the ridiculously popular beer style that is worth over 250 billion dollars worldwide each year. Always present and often misunderstood, lager has one of the most dramatic stories of all the beer varieties and I’ve been on a personal mission to find out all about it! 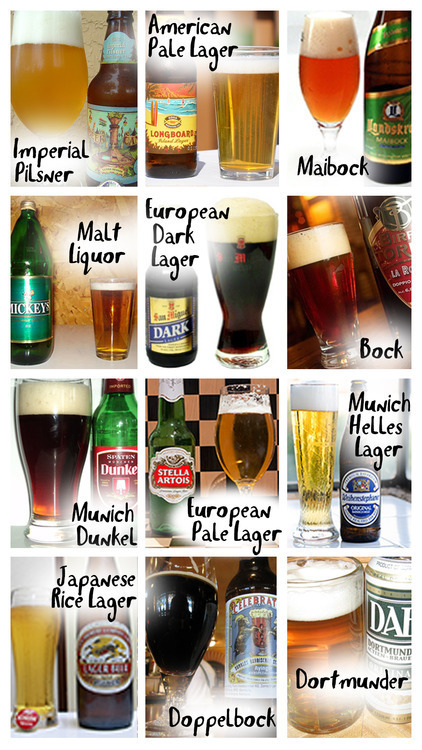 While this list is long, incredibly diverse and multicultural, like everything it all had to begin somewhere and the origins of lager lie deep in a place you would have never expected! Born by accident in a Bavarian Ice Cave. 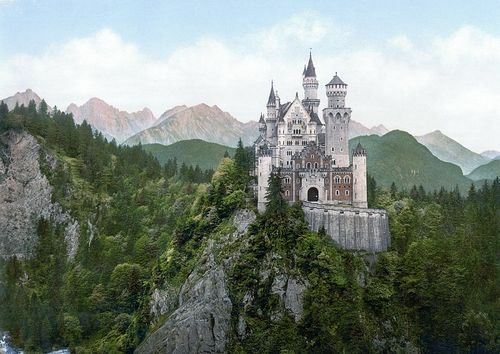 Rewind back a couple of centuries and put yourself at the mouth of a Bavarian ice cave on a chilly mid-Autumn day (wearing lederhosen if you like…. Go on.). Next to you is a brewer who is removing barrels of ale from the cave where he had stashed them months ago at the beginning of summer. This burly Bavarian brewer cracks open a barrel to inspect its contents after all these months of cold storage and ‘whaaaaat!! !’ the usually cloudy beer is now clear, crisp and has a distinctly unique aroma and flavour. His ale has magically transformed into lager, a style that would soon split the world of beer in two! It was during these long periods of beer storage when the lager style was born. Over months of storage, dead yeast and particles would settle to the bottom creating a clearer beer, but this wasn’t all that was happening. These brewers were, by doing this over the centuries, unintentionally fostering a very important player in the world of lager. 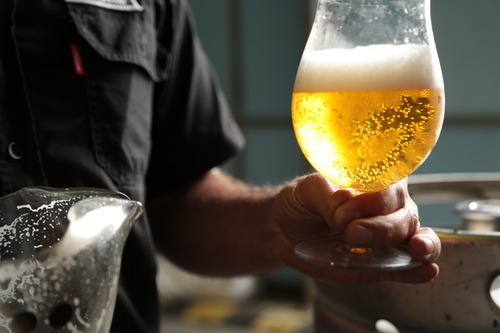 The main ingredient of Lager that sets it aside from other beer varieties is the particular yeast that is used during its fermentation process. The lager yeast is a bottom-fermenting yeast that works best in cold temperatures. Ale yeasts, on the other hand, are top-fermenting and prefer higher temperatures. This new beer variety ‘Lager’ that had begun to be produced in Europe centuries ago took on its true form only after the beer was stored in ice caves for months at a time. 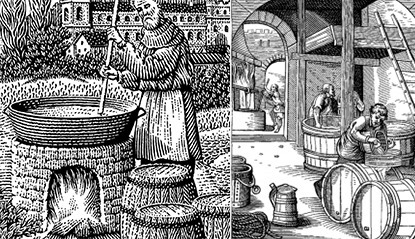 Since this was happening well before the existence of bacteria and yeast became common knowledge, these early brewers had no idea why their cold-stored ale was being magically morphed into this new, vastly different style of beer. Basically what was happening was the cold temperatures of the caves were effectively slowing down the traditional ale yeasts, thus making way for a variety of yeast that thrives at lower temperatures (the Lager Yeast) to complete the fermentation process. 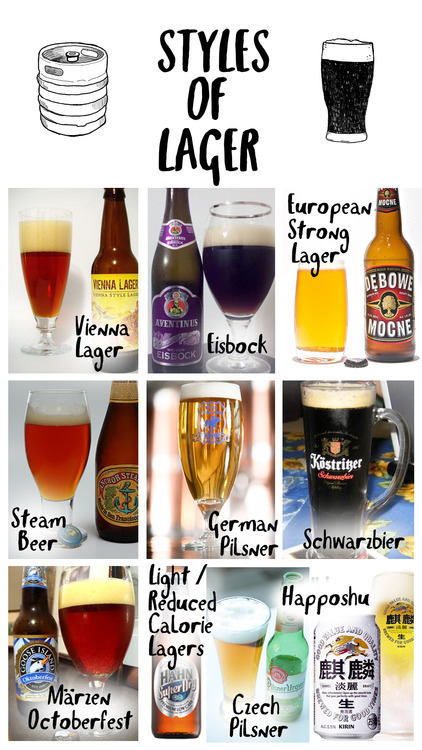 It’s no surprise therefore that the name ‘lager’ comes from the German word ‘lagern’ which means “to store”. And it’s all thanks to a microscopic Argentinian hitch-hiker! The origin of the lager yeast itself is probably the most dramatic part of the saga and it’s a story that wasn’t uncovered until as recently as 2011! While it has been known for some time that the Lager yeast is a hybrid involving a combination of the Ale yeast (S. cerevisiae) and another strain, what we didn’t know was the origins of this other strain. It was a complete mystery until just a few years ago! In 2011, a group of scientists headed by Chris Todd Hittinger from the University of Wisconsin-Madison, finally managed to track down this strain of yeast to a very unexpected origin – high in the trees of the frigid Patagonian Beech forests of Argentina. Its hard to fathom, but basically what happened was that this microscopic hitch-hiker somehow made it’s way, whether in the wood of a ships hull, on a piece of fruit, in the feathers of a migrating bird or simply in the threads of an early trader’s jacket, from the furthest southern corner of South America, over 7500 miles to the icy caves of Bavaria where by chance it met the Bavarian Ale Yeast and together created the Lager yeast that is responsible for this new and soon-to-be-incredibly-successful variety of beer. A truly serendipitous moment that changed the course of beer history forever!